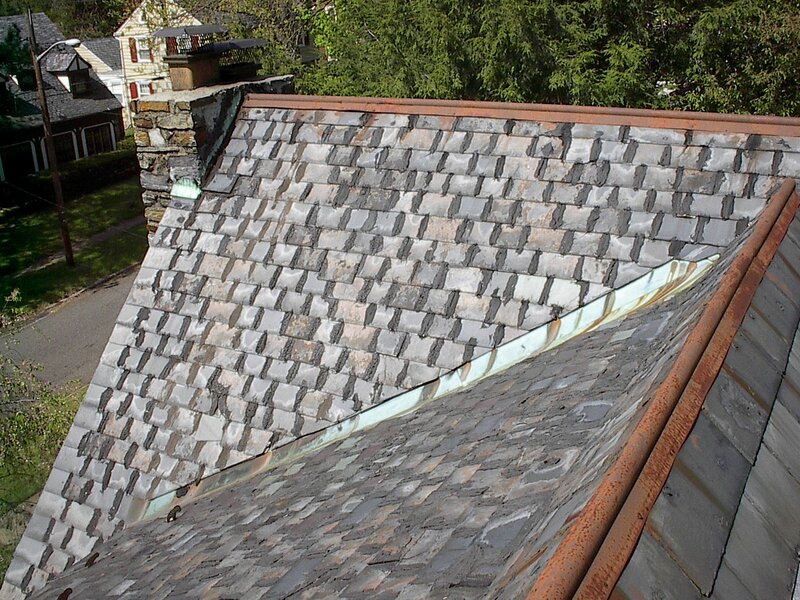 This is a deteriorated Pennsylvania Black Slate roof that a "Roofer" damaged by putting roof tar on the slates. 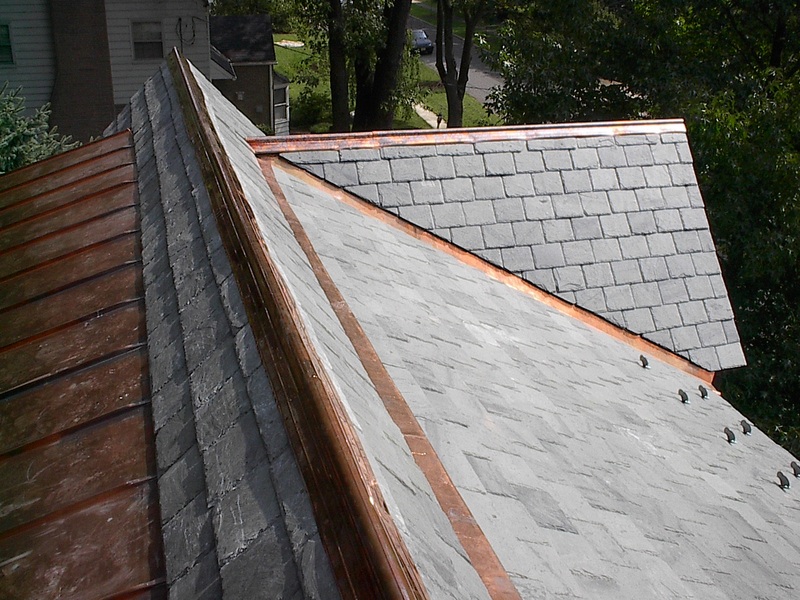 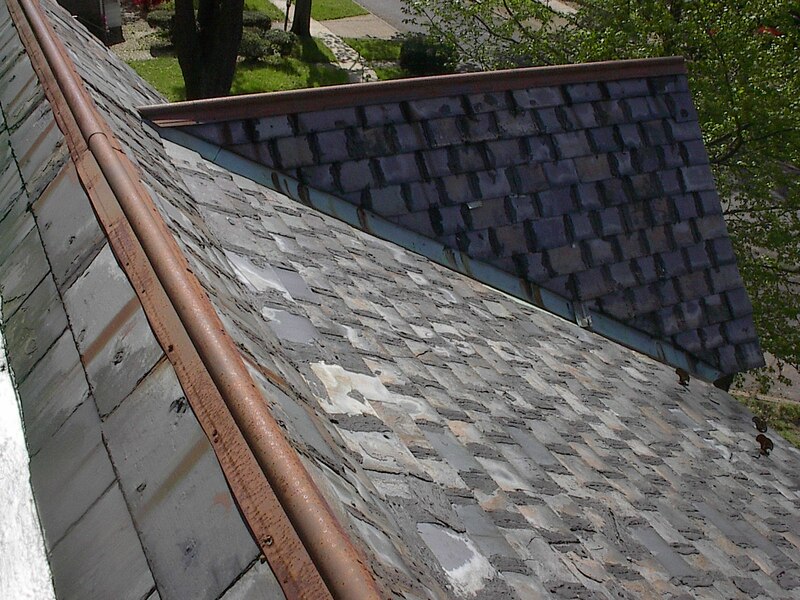 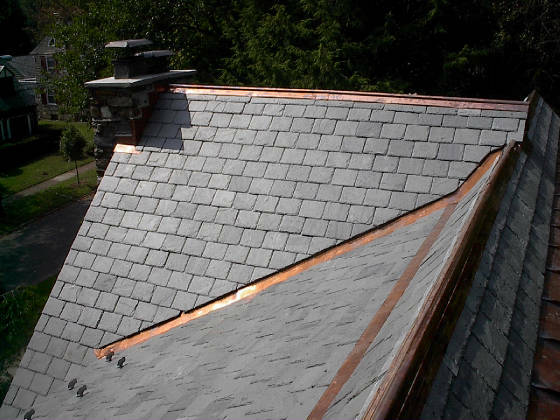 Slate roofs require a a qualified "Slater" not a "Roofer". 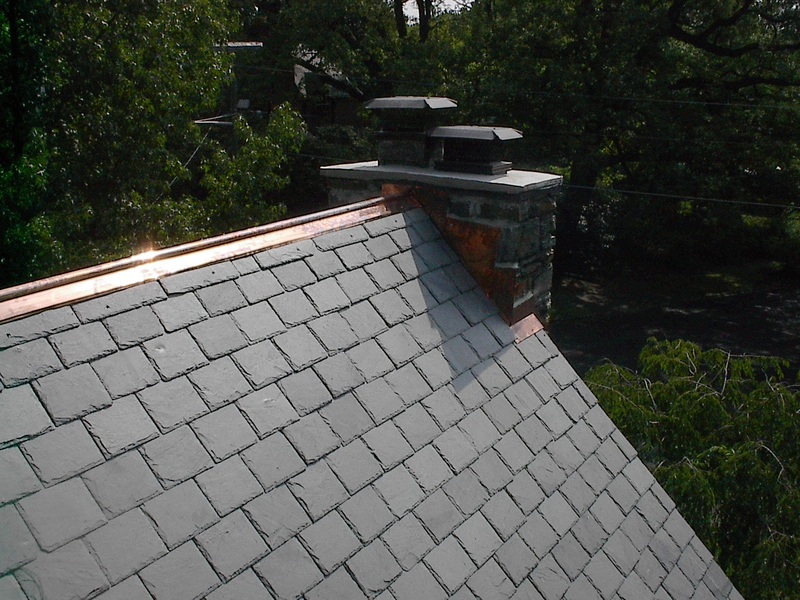 A new Vermont Gray Slate Roof is installed. 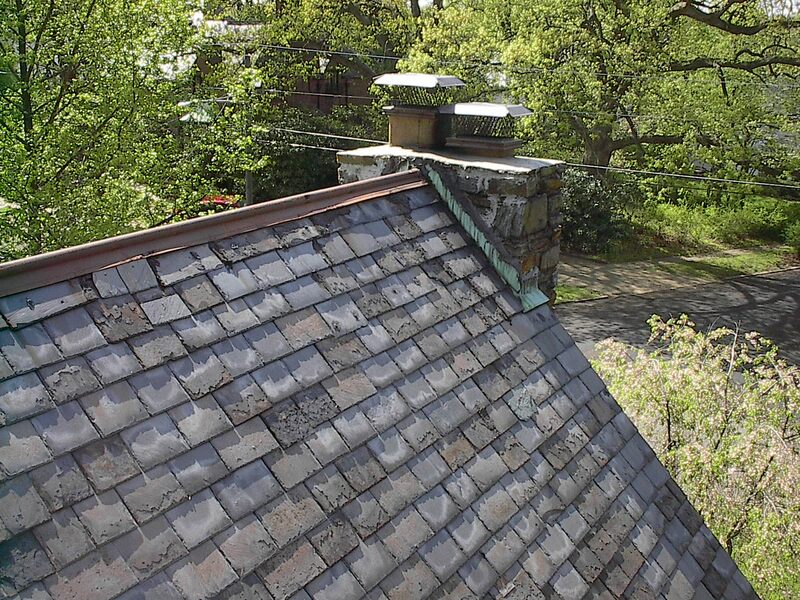 This properly installed slate roof will last for at least 100 years and that is why a slate roof is the least expensive roof that you can invest in.